We are ready for some warm weather!! After the 70 degree temperatures this past weekend I can offically say we have the spring itch. Steffi has been making garden plans, and we have been raking up the leaves, pulling weeds, and started prepping the raised beds for our veggies. After the flooding, the snow, and the cold temperatures we are ready to get back out in the yard. 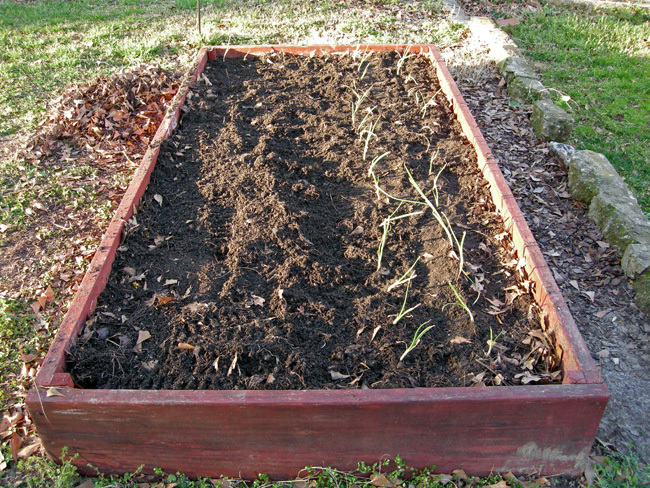 In our raised bed we went ahead and put in some sweet Texas onions. We also ordered a couple varities of potatoes. Last year we grew way too many tomatoes, but I realized tomatoes don’t store very well and we don’t use them so much. Onions and potatoes will last for a while, and we use them frequently. We’ll see how it turns out. 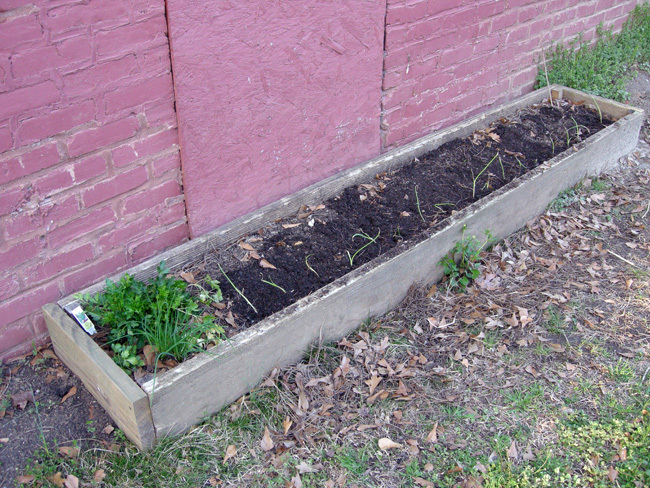 We put onions in our main raised bed in the backyard. And we put more onions in the bed on the south side of the house. 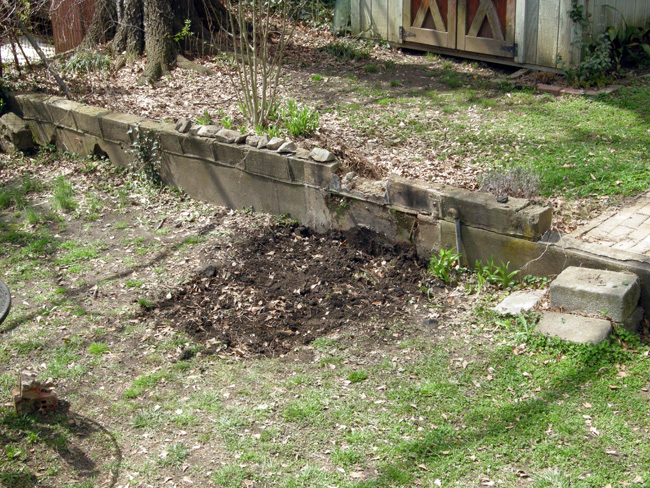 We also demolished the old grill in our yard. It has been slowly falling apart since we bought the house, so it was time to go. It turned out to be more work than we expected. 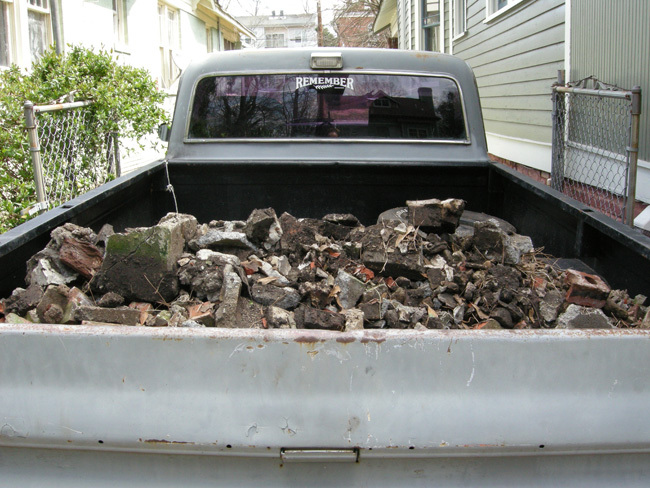 Who would have thought a few bricks would create so much debris? So here’s the grill before. 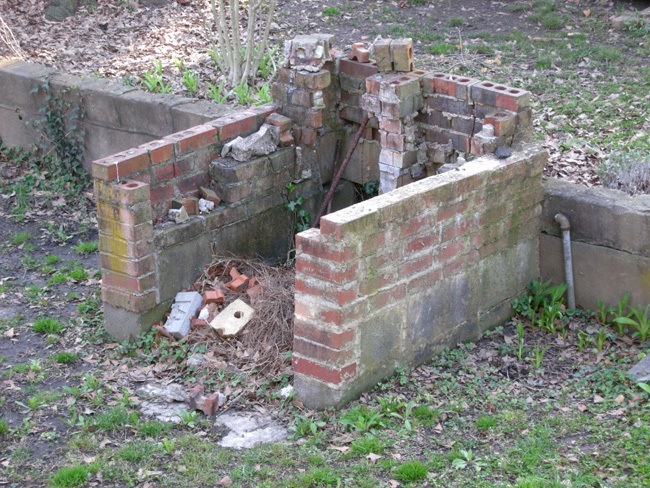 When we bought the house it had more bricks, but they kept falling off. 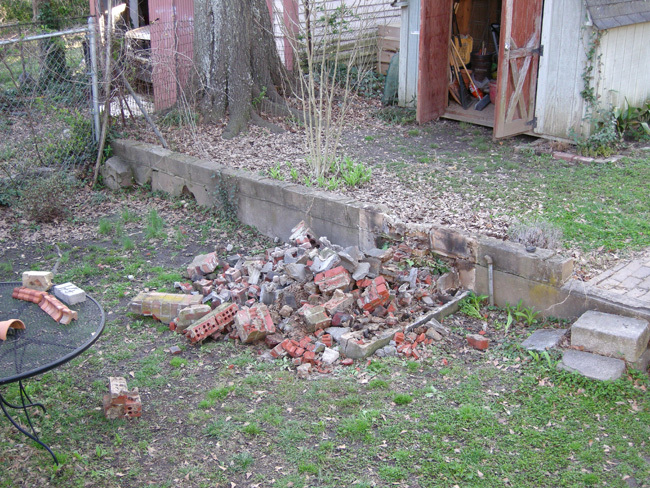 After a little work with the sledgehammer it was a pile of rubble. Too bad it couldn’t just grow legs and walk away. We loaded it in the truck to haul it away. This was a lot of work. When we tell people we demolished the old grill in the backyard I’m sure they’ll look around and ask “What grill?” That is always the case when we remove things from the yard.